Almost eight weeks after saying goodbye to Anthony Bourdain, CNN is getting ready to say goodbye to his series “Parts Unknown,” too. In an interview with the the Los Angeles Times published Wednesday, Amy Entelis — the executive vice president of talent and content at CNN who oversees the network’s original series and films — revealed that Bourdain’s program would air its final season this fall, consisting of five episodes, only one of which was completed before Bourdain’s death by suicide in June. Entelis told the Times four other episodes set in Manhattan’s Lower East Side — in addition to the Big Bend area of Texas along the border of Mexico, the Asturias region of Spain and Indonesia — will be completed by the directors who filmed them for Bourdain’s Zero Point Zero production company. The network plans to use audio Bourdain gathered while shooting on location and include follow-up interviews to bring the programs together. The penultimate episode will include cast and crew commentary on the making of the series and behind-the-scenes footage. The finale will be dedicated to “how Tony affected the world,” Entelis said, and will include reactions from Bourdain’s friends and fans. “We don’t want to start putting things together that weren’t meant to be,” Entelis said, noting that there are no plans to pull from the show’s archives beyond those final two episodes. In June, the 61-year-old chef was found dead in a hotel room in Paris while on site filming another episode of the current eleventh season of “Parts Unknown.” In his years hosting the program for CNN, Bourdain had become one of the more beloved figures on the channel, even among frequent critics of the network. He was also a New York Times best-selling author. Also Read: What's the Future of CNN's 'Anthony Bourdain: Parts Unknown' After His Death? 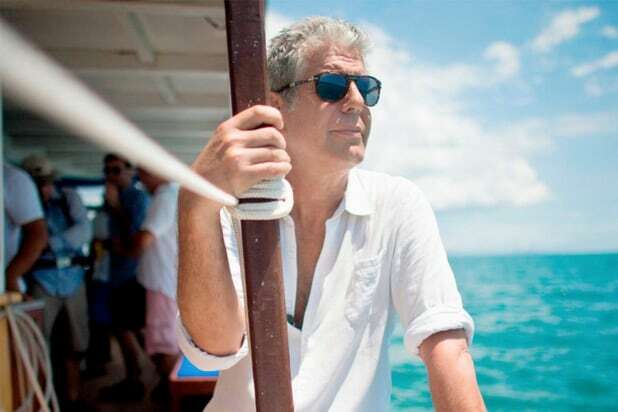 The network’s long-term plans for the show were not immediately clear after Bourdain’s death. And though an insider previously told TheWrap CNN was considering looking for a new host, Entelis told the Times they ultimately did not want to continue “Parts Unknown” without Bourdain.